Outdoor living is one of the pleasures of summer. 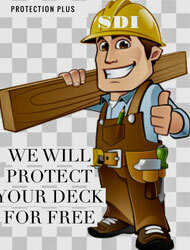 You can ensure your deck keeps its good looks all year round with SDI deck care & maintenance program. These days most of us regard our home as a sanctuary, a place to escape the stresses of a busy lifestyle. And one of the best places to unwind at home is right outside your door. An outdoor deck can be the most relaxing spot of all, especially when the surroundings are attractive. But while the weather can lure us outdoors, it can also create problems for deck surfaces. Harsh sun and extreme temperatures combined with lots of foot traffic all takes their toll on a deck, but the effects of these elements can be minimized, thanks to Scrub A Dub’s deck care services. Contrary to popular belief, if you wait 6 months – or even 6 days—for your new wood to “weather” or “season”, it will already have begun to be damaged by precipitation and sun exposure. To prevent premature weathering from moisture and UV exposure before it begins, apply a protectant immediately to newly installed wood. Our process is thorough and the results can be stunning. Rather than blasting wood with high pressure (leaving marks on the wood, raising the grain and leaving the surface all fuzzy), we use a combination of environmentally safe wood cleaners and brighteners to create long-lasting natural beauty. 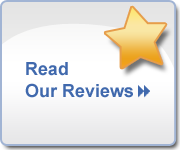 The first step in restoring your deck, fence or other wood structure is the evaluation process. We will provide consultation, obtain measurements and perform a test patch to determine exactly what needs to be done to restore the natural beauty of your wood. We provide samples of our finishes and before and after photographs of previous jobs. At this time you will also be presented with a list of frequently asked questions and an outline of your maintenance program. Depending on the present condition of your wood, this step may consist of finish removal and/or a deep cleaning. If a finish has been previously applied, your wood may require multiple applications of our specially designed biodegradable wood stripper. The old failed sealer/stain must be removed to insure the new sealed will perform correctly. If a finish does not exist, a deep cleaning is done with our specially designed wood cleaner to remove mold, mildew and dirt that has collected on the surface. New wood also needs to be deep cleaned to remove any "Mill Glaze" that was left behind when the wood was milled. The graying is also removed during this step to reveal the wood’s natural beauty. The final and one of the most important steps in the restoration process is the neutralization of the cleaning agents that were applied during the restoration process with our specially designed wood brightener/neutralizer. A neutral wood pH is necessary for optimum new finish performance. This process will also brighten and bring out the natural beauty and color of the wood. After the restoration, brightening and neutralizing steps of your project are completed, your wood needs to dry out. After allowing proper drying time (usually 2-3 days), we use an electronic moisture meter to double-check the areas of the wood that dry the slowest. The moisture content must be under sixteen percent before sealer is applied. The final step before the sealer is applied is detailing and necessary repairs. All agreed upon repairs are made at this time and nails and screws are returned to below the wood’s surface. It is then thoroughly inspected for "furring". If found the "furring" is removed with a detail sander. Finally, if necessary hand railings are sanded to ensure that they are splinter free. The most time consuming step, but at the same time most rewarding, in the process is sealing your wood. Through our application techniques, we provide exactly what your wood needs. Every wood project differs in the amount of stain/sealer needed for proper protection. This is determined by past maintenance, species and age of the wood and any prior applied product or coating that may have been use. A home owner with color concerns should check with a local paint store to review the different color stains there are SDI attempts to represent finale finish colors as best as possible but you must expect some variance in the finish. Also remember that when replacing old wood with new wood there will be a difference between the old wood and the new wood. SDI cannot make new wood look old.